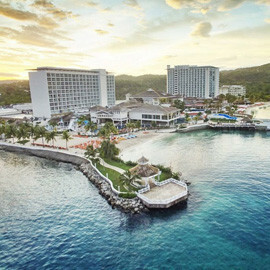 Set on the North Coast’s largest private white-sand beach, it is no wonder that Sandals Montego Bay has so many beachfront rooms and suites, with panoramic ocean views, offering the ultimate romantic setting for two people in love. 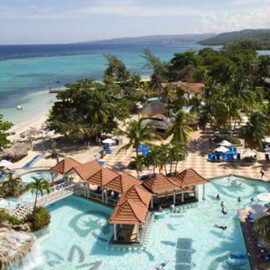 Boasts the largest private white sand beach on the North Coast. 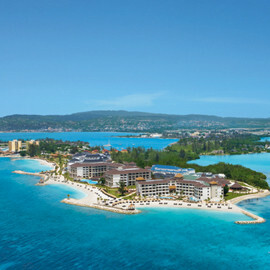 Exclusive to Sandals Montego Bay is a beautiful, non-denominational Chapel located on the resort. 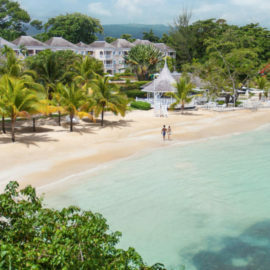 Bay Roc Beachfront Villas –Rooms and Suites delivering a new level of luxury to the resort & more importantly, a feel for the glamour and glitz of the bygone 50’s. Dining options within ten minutes. Air-conditioned Departure Lounge for late departures. air conditioning, king-size bed, amenity kit, hairdryer, telephone, and safety deposit box, private bath & shower, radio with iPod docking station, cable T.V., coffee & tea maker, iron & ironing board. Your wish is our command. With the uncompromising attention of a personal butler, trained to the highest standards by the elite Guild of Professional English Butlers, you will be pampered throughout your stay in extraordinary ways. From unpacking and packing your luggage… attending to your wardrobe…. 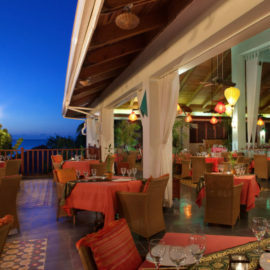 serving a glorious repast on your terrace….. Just to name a few…. 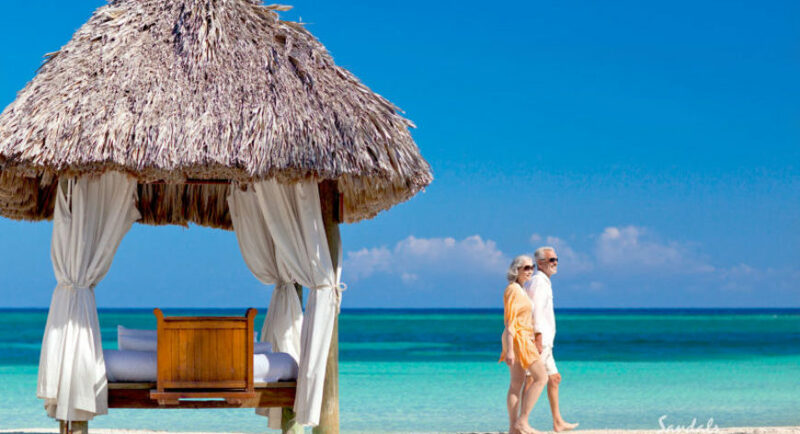 a Sandals Suite, complete with your own personal butler, is the ultimate indulgence. A Fully equipped Fitness Centre, including cardiovascular machines and weight equipment. The room is also air-conditioned. Very large suite located directly on the beach, overlooking the ocean with a spacious living and dining area. This suite features a luxurious grand bedroom with mahogany furniture and king-size four-poster bed. The bathroom houses a whirlpool/shower combination. Suite has two large screen plasma TV’s, a stocked wet bar and an iPod docking station. There is an oversized balcony. 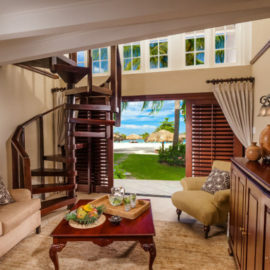 These suites feature large living rooms, separate bedrooms with four-poster beds, marble bathroom with an oversized bathtub/shower combination, large patios and mahogany furniture. Each suite includes two large screen plasma TV’s and an iPod docking station. 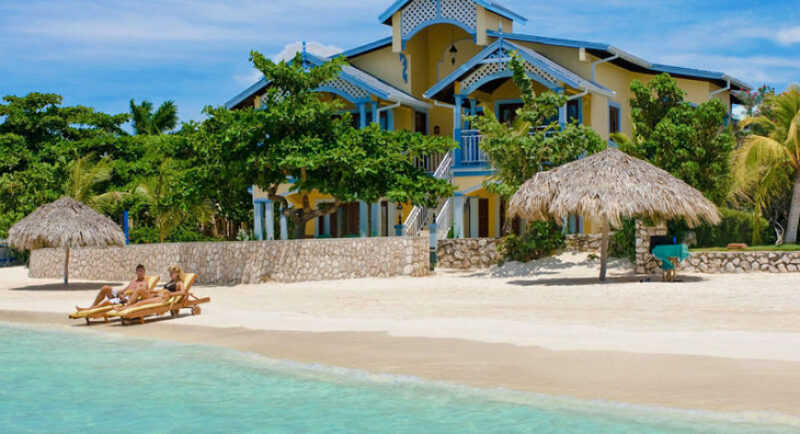 These Suites are located directly on the beach. These large suites are located either on the upper level with a Balcony or ground level with a patio, each with an ocean view. Featuring an imposing living room with the bedroom incorporated into one area, these suites feature mahogany furniture with a king-size four-poster canopy bed, Bedroom bench with additional storage, two side tables with antique lamps, writing desk & chair, Armoire with drawers, 30” plasma TV, decorative wall lamps, iPod docking station, his & her facial sink with mirrors, beautiful framed artwork, & Plantation style shutters. 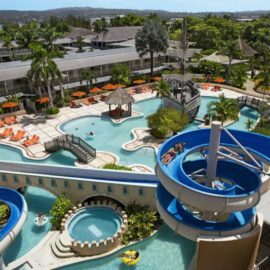 There is a large whirlpool bathtub plus a separate walk-in shower stall in each room. Separate beachfront mahogany electronic entrance door, with an additional mahogany framed glass door leading to the beachfront patio. This villa was recently totally rebuilt. These suites feature an imposing living room with the bedroom incorporated into one area. The suites feature mahogany furniture with a king size four poster bed, two side tables with antique lamps, his and her facial sinks, writing desk and chair, iPod docking station and beautiful framed artwork. The bathroom houses a whirlpool tub and walk-in shower. 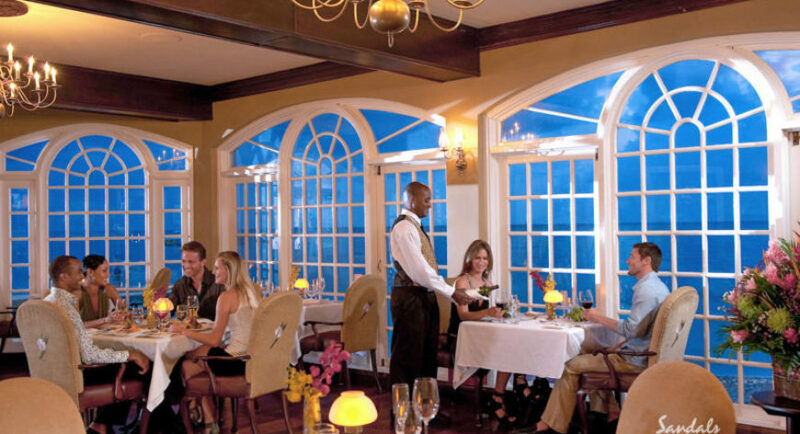 The suites either have a patio, balcony, or large bay window, or feature views of the ocean, beach, and/or gardens. 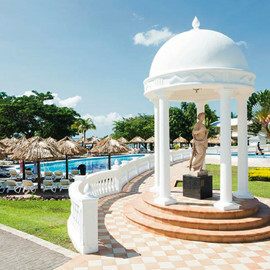 These suites are located directly on the beach with an extended patio overlooking the beach and ocean. These rooms are extraordinarily large with mahogany furniture and a separate living room area from the bedroom. The bedroom features a king-size four-poster mahogany bed. The bathroom houses a bathtub/shower combination. This Suite also includes a stocked bar, two wall mounted bedside lamps, large screen TV’s and iPod docking station. These suites are located on the ground floor or upper level directly on the beach, and share an extended patio overlooking the beach & ocean. These extraordinarily large rooms feature mahogany furniture with a king-size fourposter bed, two side tables with antique lamps, writing desk & chair, Armoire with drawers, his & her facial sink with mirrors, beautiful framed artwork, an oversize bathtub along with walk in shower. Some rooms have a bathtub/shower combination. These Junior Suites are located on the ground of cottage 12. These rooms feature mahogany furniture with a king-size four-poster bed, two side tables with antique lamps, writing desk & chair, armoire with drawers, his & hers facial sinks with mirrors and beautiful framed artwork and an iPod docking station. The bathrooms have a whirlpool bathtub & shower in one. They also have a large patio, walking out to the beach & ocean. These Junior Suites are located on the upper floor of cottage 12 and the ground floor of cottage 19.These rooms feature mahogany furniture with a ing-size four-poster bed, two side tables with antique lamps, writing desk & chair, Armoire with drawers, his & her facial sink with mirrors, iPod docking station and beautiful framed artwork. Some have a whirlpool bathtub & showerin one while others have a bathtub/shower combination. 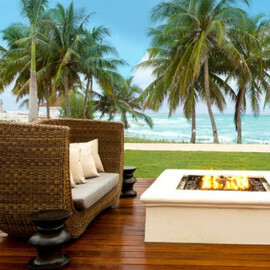 They also have either a very large balcony or patio overlooking the beach & ocean. These rooms feature elegant, tropical décor, king-size mahogany bed, TV, iPod docking station and a patio. 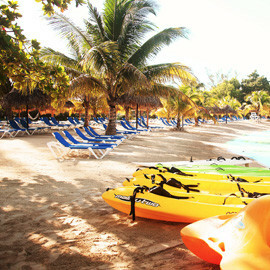 Rooms are located on the beach with magnificent ocean and beach views. The bathroom houses a walk-in shower. 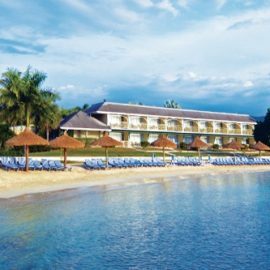 All rooms are beachfront, have a balcony and feature elegant, tropical décor, king-size mahogany bed, TV and iPod docking station. The bathrooms houses a walk-in shower. Rooms are located on the beach with magnificent ocean and beach views. 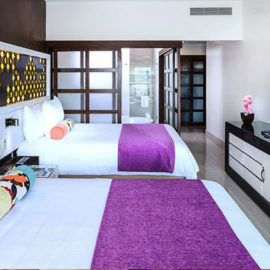 All rooms have a balcony and feature elegant tropical décor, a king size mahogany bed, TV and an IPod docking station. The bathroom houses a walk-in shower. These extraordinarily large rooms feature mahogany furniture with king-size four-poster bed, IPod docking station and TV. The bathroom includes a whirlpool tub/shower combination. 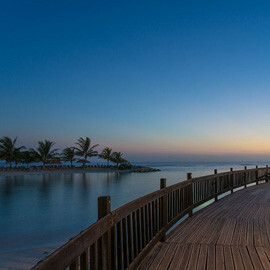 All rooms have expansive balconies with Spectacular Ocean and sunset views. These mahogany furnished rooms have a four-poster bed and also feature a whirlpool tub and shower combination in the bathroom. All rooms include a patio walking out to the Almonds deck. These mahogany furnished rooms have a four-poster bed and also feature a whirlpool tub and shower combination in the bathroom. All rooms include a balcony. 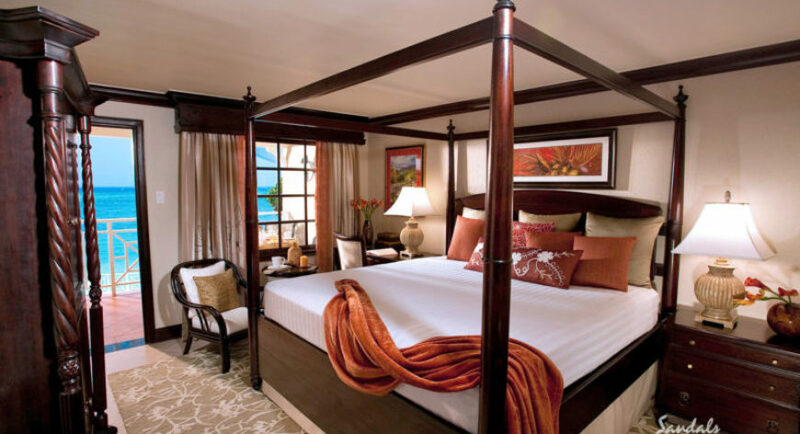 Room features mahogany furnishings, four-poster king size bed and TV. 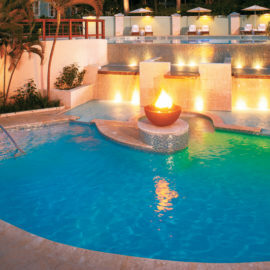 Rooms are close to the swim-up pool bar, piano bar, and tennis courts. The bathroom houses a bathroom/shower combination. Room opens to a large patio with access to the gardens. 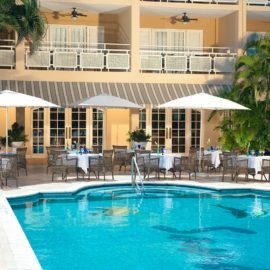 Rooms are close to the Piano Bar, Swim-up bar & Tennis Courts. All rooms have balconies and an ocean view. The bathroom houses a bathtub/shower combination. 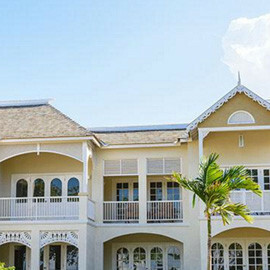 Rooms features mahogany furnishings, four-poster king size bed and TV. 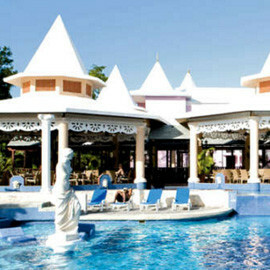 Rooms are close to the swim –up pool bar, piano bar and tennis courts. The bathroom houses a bathtub/shower combination. Room opens to a large patio with access to the gardens. These rooms feature elegant decor, king size mahogany bed, walk in shower and TV. A few bathrooms have a bathtub/shower combination. 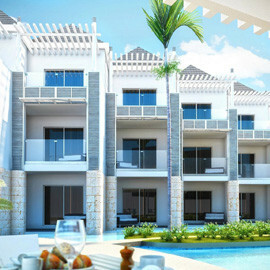 Rooms feature a bay window or sliding door with a balcony overlooking the main pool. 24 Hour Room Service for Butler level categories of accommodation and 7:00am to 10:00pm for Club level categories of accommodation. Unlimited Scuba Diving for Certified Scuba Divers. 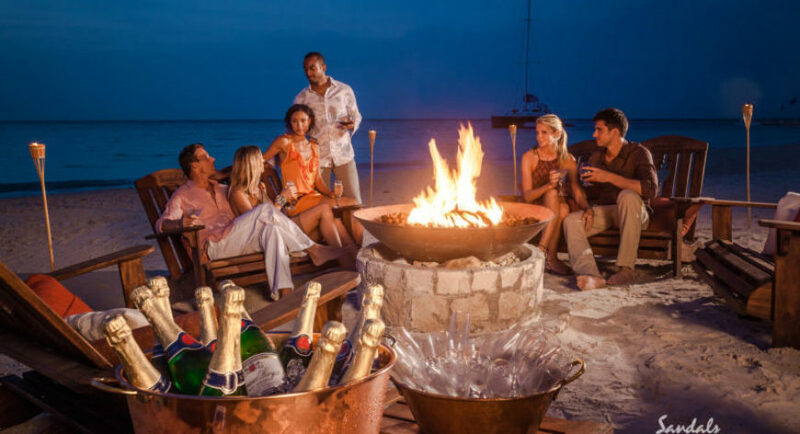 Let the warmth of the islands soothe your soul. Discover a completely unique mind & body experience that transforms you – inside & out. Take the time to let us envelop you in natural botanicals & you will feel renewed for a lifetime. Your journey begins with a Red Lane Rejuvenation Specialist who is dedicated to creating an incomparable experience with a focus on CONNECTION, TIME and LOVE. 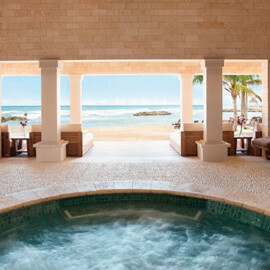 Whether it’s the perfect setting for your spa experience or your favorite tropical infused aroma, we will adapt our treatments to your personal preferences. Open daily 8am to 7pm. Exercise in a group! Rather than jump on a machine, get your own workout by moving to the beat of your favorite songs. CERTIFIED and dedicated Fitness Professionals will lead you through a workout of a variety of movement combinations that exercise your muscles while you have fun in the sun at the ame time. Our up-to-date classes are not intimidating and persons of AL ages and fitness levels will enjoy our classes. Our Fitness facilities are fully air-conditioned and have state of the art Life Fitness equipment that is available 24/7.